The 10 SiHub programs will prioritise connecting with international partners and the world’s start-up support ecosystems. They include Global Partnerships, Global Strategic Alliances, Global Events, Global Education, Global Research, Global Entrepreneurship, Global Social Impact, Global Culture, Global Policy and Global Think Tank. SiHub looks to become an official connection portal between Vietnam and the worlds’ innovative start-up support ecosystems, hoping to make Vietnam a start-up hub of Southeast Asia. 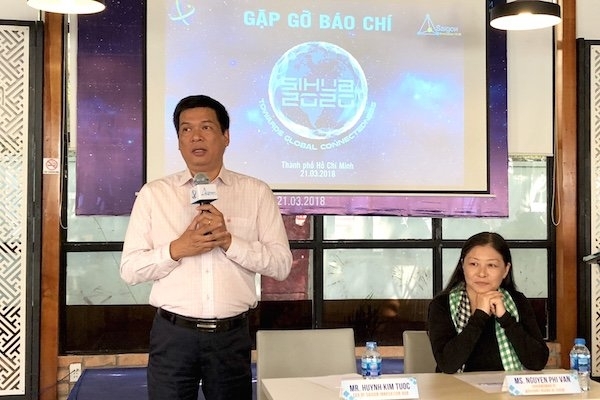 SiHub Managing Director Huynh Kim Tuoc said, by 2020, SiHub targets collecting domestic and international resources to boost Vietnam’s economic development by focusing on measures to promote international integration, start-ups and innovation. SiHub will also establish startup ecosystem management boards for four key sectors, namely information technology - communication, food processing – foodstuff, mechanics – automation, plastic – rubber – and pharmaceuticals. Statistics show that Vietnam has a total of 1,800 start-ups, including 834 operating in Ho Chi Minh City. However, Vietnam remains behind numerous regional nations, such as Singapore and Malaysia, regarding its start-up and innovation support indexes. Besides, most of the country’s start-ups are small scale and yet to enter the capital-calling period. Over the past two years, SiHub has supported 958 start-up projects and 15 incubators, helped building capacity and expanded networks for more than 100 start-up consultants, training 115 tertiary teachers on start-ups and innovation. In 2018, it will work with innovative and start-up ecosystems of other nations to connect with international enterprises and communities, while building a roadmap for global economic integration. According to Nguyen Phi Van, Chairman of the SiHub Advising Board, SiHub has established ties with the innovative and start-up ecosystems of the Republic of Korea, Malaysia, Germany and Singapore.